This month’s Visualizing Health Policy takes a look at preventive health services for women, including missed opportunities for preventive counseling on risk factors (such as smoking or alcohol) and sexual health issues (such as contraception, sexually transmitted infections, and domestic violence), the effects of lack of insurance on rates of mammograms and other screening tests for women, and how costs are a barrier that cause some women to postpone preventive services or skip a recommended test or treatment. It also shows a substantial proportion of women are unaware that the Affordable Care Act (ACA) plans to cover many preventive services without cost sharing, and that many women regard clinicians as the most trusted source for information on the ACA. Source: Kaiser Family Foundation (http://www.kff.org) analysis. 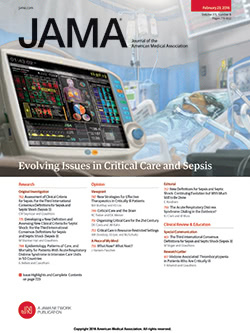 Original data and detailed source information are available at http://kff.org/JAMA_05-14-2014.